Abarth 595 Performance, Engine, Ride, Handling | What Car? The 595 comes in a variety of trims, with three engine outputs. All are equipped with the familiar turbocharged 1.4-litre T-Jet motor, but it’s the top-spec 178bhp Competizione model that more focused drivers will be interested in. Chiefly, because it comes equipped with an all-new mechanical limited-slip differential. This is chiefly because Competizione gets uprated dampers all round, a more potent braking system and an optional Performance Pack that adds a mechanical limited-slip differential, 17in Supersport alloy wheels and figure-hugging Sabelt leather and Alcantara seats with carbonfibre shells. Despite its small displacement, the engine sounds menacing. Below 30mph, small accelerator inputs have the 595 gurgling, popping and crackling; with the Record Monza exhaust fitted to Competizione versions, this is certainly not a hot hatch for those who crave anonymity. Even the lesser models with a ‘normal’ twin-pipe system sound rather naughty. The engine is willing to rev harder than most small turbocharged motors, has a progressive delivery and feels responsive even from lower revs. The slick, snappy gearbox makes it easy to use the engine to its fullest, too. In fact, with a 0-62mph time of 6.7sec and a 143mph top speed, straight-line performance is on a par with hot hatches from the class above. Lower down the range, the entry-level 143bhp model may be able to show the Volkswagen Up GTI a clean pair of heels in a straight line, but it’s brisk rather than outright fast. The 163bhp Turismo car should be usefully more rapid. However, that straight-line pace isn’t backed up with rewarding handling. 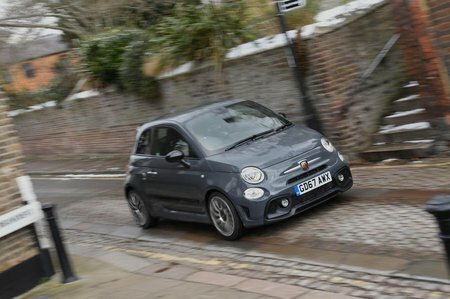 Compared with the best hot hatches, which allow you to modify your line with a lift of the accelerator or some well-calculated braking, the 595 feels rather one-dimensional and strait-laced, even if you opted for the Competizione model. 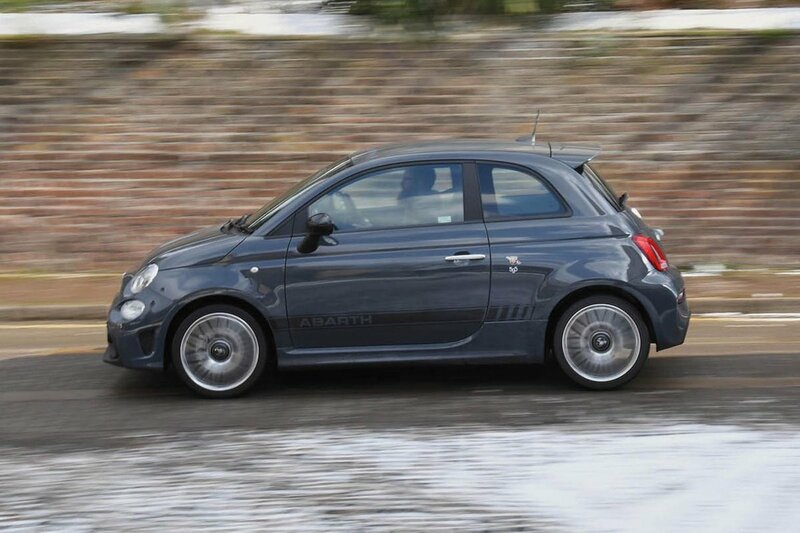 That said, despite not being the most involving hatch on the market, the 595 can still be hustled down a twisting road quickly, while the Performance Pack-equipped Competizione is downright startling. 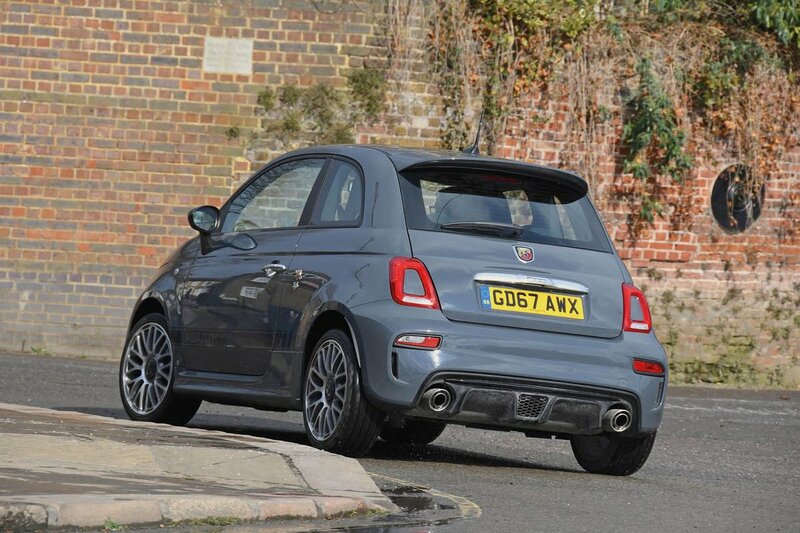 Granted, on busier road surfaces, some might find the bouncy ride comfort quite wearing, but the upshot is surprisingly little lean given the 595’s tall and narrow body. Ultimately, an Up GTI is even more capable, though.